Happy Holidays from everyone at Analynk Wireless! When a fuel, oxidizer and ignition source are present at the necessary levels, burning or explosion will occur. To reduce the possibility of fire or explosion, one of the key elements needs to be reduced or removed. Another key factor in a fire or explosion are the explosive limits. These are the maximum and minimum concentration needed of a given combustible material to support a fire or explosion. To form an explosive mixture, the hazardous gas must have sufficient concentration levels. The minimum concentration of oxygen to combustible material is known as the lower explosive limit or LEL. If the concentration is below the LEL, it will not be flammable or have enough flammable material present. The same condition would apply if gas concentration is too rich, meaning it will not ignite because it will not have sufficient oxygen to sustain the fire or explosion. This is known as the upper explosive limit, or UEL. It should be noted that different gases will have different threshold limits. In addition to the explosive limits, each hazardous material will have an autoignition temperature and a flashpoint. The flashpoint is the temperature at which the material will generate sufficient quantity of vapor to form an ignitable mixture. As the liquid is heated and reaches the flashpoint, autoignition could occur. 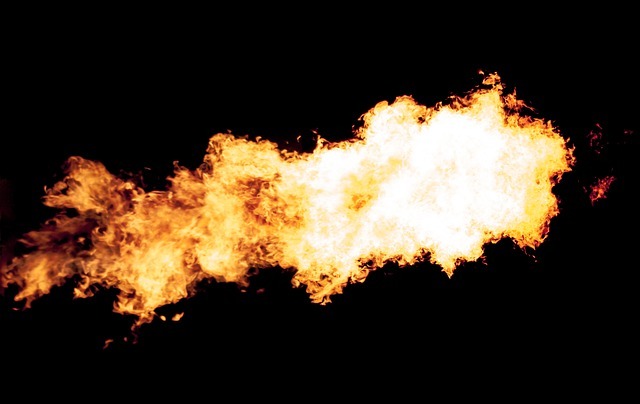 An autoignition is the lowest temperature at which a combustible material will spontaneously ignite in a normal atmosphere. For example, if we have the heating of a combustible liquid, explosive vapors are created. As the material reaches the explosive limits creating the flashpoint. If the general atmosphere is increased, the autoignition temperature, fire, or explosion will occur. To simplify, the specification of electrical devices into hazardous environments, IEC classification methods utilize autoignition, flashpoint, and explosive limits to place hazardous materials within groups. All three categories provide the likelihood of an explosive atmospheric condition within the general environments. Within the IEC standard, the general risk categories are then classified as Zones. This reflects the physical material that could provide a potential fire or explosion. From liquids and gases, the area classifications are Zone 0, Zone 1, and Zone 2. By altering the physical material to dust or fibers, the area classification numerical value changes to Zone 20, Zone 21, and Zone 22. Referring back to the necessary requirements for an explosive triangle, we know we need ignition source, oxygen, gas and or dust combustible material in the correct mixture within the atmosphere. In order to specify electrical devices and hazardous locations, we need to identify the general Zones within each area. When working with liquids or gas, we locate the most hazardous or flammable location directly above the material. Due to the possibility of the valve leaking, at the top of the containment structure we must classify the area as Zone 1. As we move further away from the possible explosive atmospheric condition the Zone classification would be reduced to Zone 2. By altering the combustible material properties to a solid form, the area classification above the material would be Zone 20. If the dust escapes the same failed valve, the external area around the same containment unit would be classified as Zone 21. As we continue to move away from the containment unit and with reduction of Category risk, the new classification for the general area would be Zone 22. Now that we know combustible materials whether liquid, gas and or dust will have different upper and lower explosive limits, and we understand the general heat could be the ignition source, within the IEC standards the T rating specifies the maximum surface temperature an electrical device will create. As the temperature increases, the associate rating will decrease, meaningless heat will have a higher T rating, while an increase in surface temperature will reduce the T number. Any equipment that produces ignition source during normal operation. Sand encapsulation is a type of protection in which the enclosure of the electrical apparatus is filled with a finely granulated material. This ensures electrical arcs occurring within the electrical apparatus will not ignite the surrounding atmosphere. Pressurization is a method of protection by which the entry of a surrounding combustible material is prevented by maintaining a protective gas within the enclosure. This is generally accomplished by creating a higher pressure within the enclosure than the surrounding atmosphere. This protective method would be used for any power operated equipment. All equipment certified for use in hazardous areas must be labeled to show the type and level of protection applied. In summary hazardous locations could exist in multiple industries. The geographical location will dictate the general method used for classification. The European Standard or IEC provides guidance of risk into three main categories. These risk levels are then divided into Zones and have numerical values that relate to the possibility of explosive gases or dusts present within the atmosphere. Because combustible material could have a variety of explosive limits, the method of protection will be important. Nevertheless all electrical devices placed within hazardous environments will follow the device markings to ensure fire or explosion does not occur. Cloud-based engineering tools combined with wireless technologies continue to change the industrial control landscape by making employees more productive, making data available in real-time, and driving efficiencies in manufacturing plants. These new technologies reduce engineering hours, shorten maintenance time and make commissioning steps more efficient. They also improve user safety, streamline usability, and significantly decrease budgets for maintenance. A standout example of success in wireless and cloud-based tech is the adoption and growth of ADC. ADC is an abbreviation for Automated Device Commissioning, sometimes referred to as Smart Commissioning. From a practical standpoint, it is a set of engineering techniques and processes to check, inspect and test every operational component of a project. Workflows incorporating lean engineering can benefit from designing instrument configurations before the hardware is actually delivered to the facility. ADC/Smart Commissioning can be used to: Reduce commissioning time to a fraction of the original hours needed; mechanically bind control configuration; reduce the need to verify I/O assignments; help avoid costly errors in wiring and termination; and automate intelligent device testing and documentation. Use of ADC/Smart Commissioning promotes efficiency for automation projects. Engineers used to have to deal with repetitive and complicated tasks to get the project set up. Now with this new approach, assisted by wireless and the cloud, teams of engineers can work on the project collectively, and at the same time, without needing to be physically at the same site. ADC/Smart Commissioning assists engineers in confirming that the right transmitter is landed on the correct controller input/output module (I/O). If a mismatch is determined, the engineer can fix the mismatch in real time, on-site or remotely. Then, once the hardware configuration is confirmed, the user can wirelessly perform loop checkout as well. As capable engineers and maintenance personnel continue to retire from the workforce, and as manufacturing companies are forced to accomplish their work with fewer experienced employees, wireless technology and cloud-based tools facilitate greater efficiency through equipment optimization, performance tracking, safety monitoring, and process reliability. Wireless technologies and cloud computing systems are changing industrial communications. 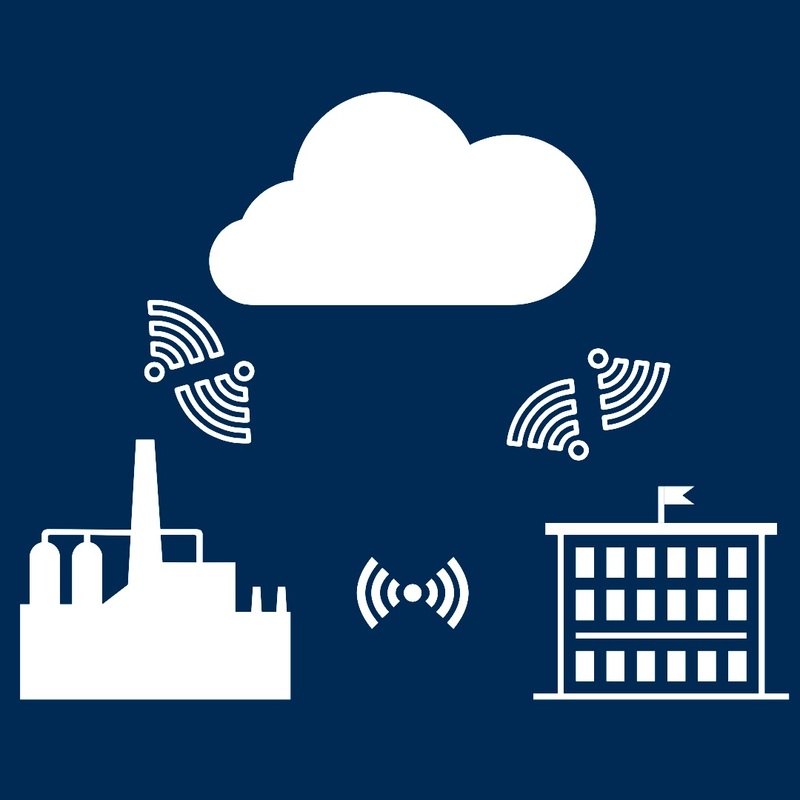 Industrial wireless networks and cloud-based tools, simply stated, allow manufacturing plants to do more with fewer people. This two-part article delves into the recent trends in the use of cloud-based tools and wireless networks to help plant operators improve their application validation, improve their diagnostic selection of instrumentation, and improve device commissioning. The benefits of wireless and mobile communications is clear. Engineers and other factory personnel can input data wirelessly via a smart phone, or a laptop computer so they can have their specific requirements recorded. Collaboration with other team members is possible, through the cloud, to determine the optimum set up for the project devices to streamline engineering decisions (and to avoid expensive mistakes upfront in the project). Information in the cloud may also be equipped for instant duplication, so projects that have many identical device configurations can be rapidly repeated. A convenient way to share and collaborate in real-time. 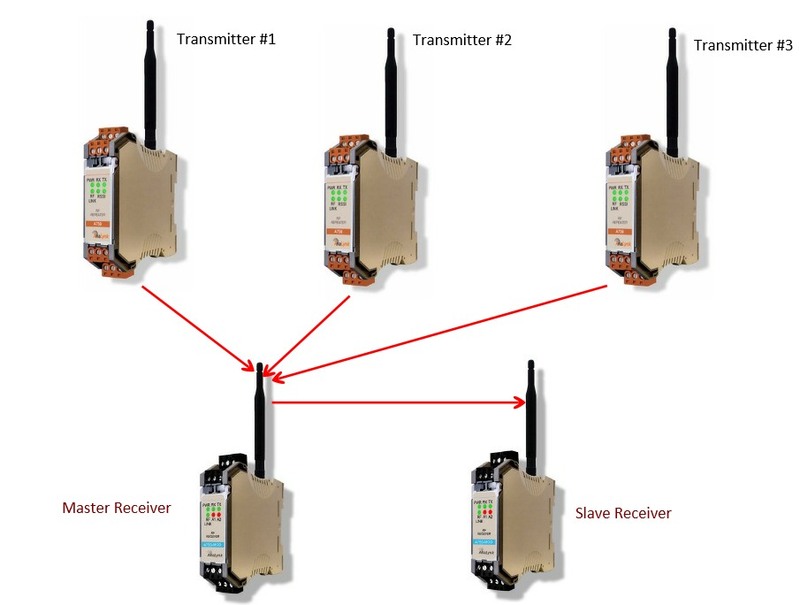 Multiple users can visualize the transmitter configuration though a link. This saves staff time and reduces travel time for support people. If a beginning user has an underdeveloped knowledge of the application, the cloud can provide readily accessible information such as compatibility charts, specification sheets, code requirements, etc … . Generation of a standard data sheet so engineers don't have to spend as much time on data entry. The data sheet can be stored to support the user's necessary documentation and audit trail. The paradigm for instrumentation setup is changing dramatically. Cloud-based tools and wireless communications are optimizing manufacturing operations and delivering capital projects cost effectively, efficiently, and as rapidly as possible. Under increasing pressure for improved quality, safety, and profits companies are migrating toward cloud-based application, data storage and wireless networking. These new technologies are playing a key role in improving safety, lowering operating costs, providing real-time performance data, and continuously monitor processes. Wi-Fi coverage is increasingly required in all areas of the modern industrial manufacturing plant. 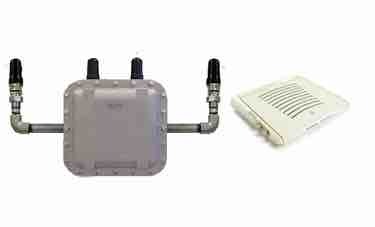 Adding wireless access points in non-hazardous areas, in an environmentally protected structure, is relatively simple. Many times the access point's own enclosure is all the protection required for that service. On the other hand, creating a reliable wireless data transmission network in locations with dangerous concentrations of flammable gases or ignitable dust present unique network challenges. Industries such as off-shore drilling, petrochemical refining and mining require wireless networking components rated for use in hazardous areas. 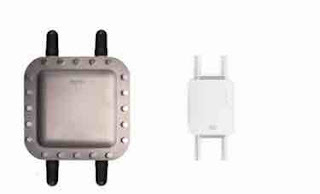 Hardened access points, such as the Aruba Networks AP 318, are built for rugged environments. The AP 318 is capable of operating from -40 F. up to +140 F., and the unit's enclosure provides water and dust protection. However, if the access point is being located in a hazardous area (an area where flammable vapor, gas or dust exist) it will have to be mounted inside a hazardous area access point enclosure. 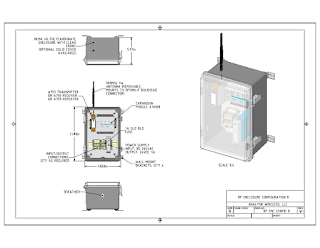 The Analynk AE902 Hazardous Area Access Point Enclosure provides the approvals and features required for hazardous area applications. 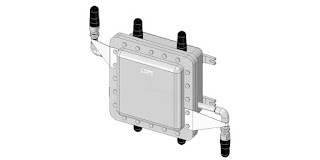 Designed specifically to house the Aruba AP 318 access point, the AE902 enclosure allows facilitates the deployment of wireless networks in Class I, Division 2, groups A, B, C, & D areas, and combines protection for harsh, wet and corrosive environments. It includes a NEMA 4X rating to withstand driving rain, blowing sand, dust, splashing, and an occasional hose down. Finally, the AE902 comes complete with a PoE (Power over Ethernet) injector and AC to DC power supply for simplified wiring. 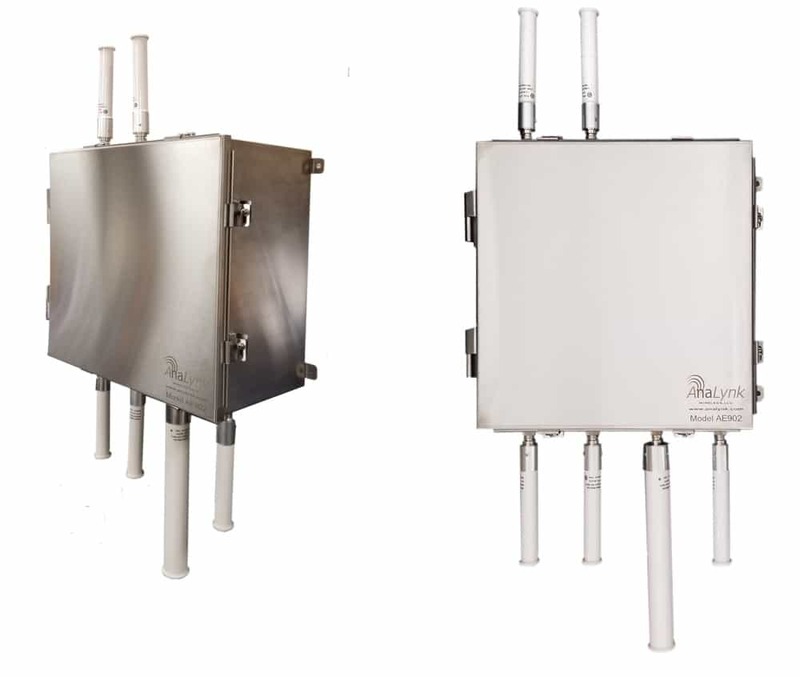 To learn more about the AE902 Hazardous Area Access Point Enclosure, visit this page on the Analynk website or call 614-755-5091. 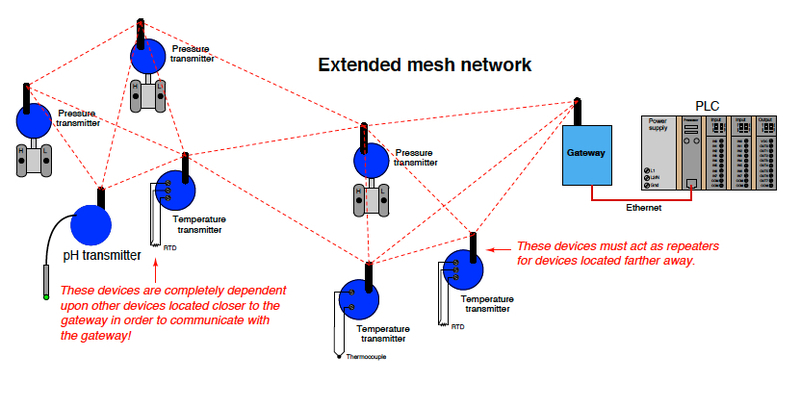 In a mesh network, devices (nodes) perform double-duty as repeaters to relay data from other instruments to the gateway as needed. In other words, data transmitted from one WirelessHART instrument may not be directly received by the gateway device if that path is blocked or too far away. Instead, the data may “hop” from one device to another nearby, which then re-broadcasts that information to the gateway via a clearer path. 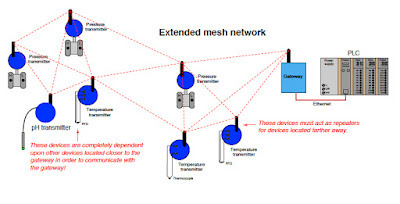 The purpose of a mesh network is to provide redundant data pathways in case of device failure or changes in the environment interrupting radio communication between devices. In this way, data packets may be re-routed to the gateway if the shortest route fails, in a manner similar to how Terminal Control Protocol (TCP) and Internet Protocol (IP) work together to route data segments from source to destination over the “mesh” of the Internet. This feature is often referred to in WirelessHART technical literature as the self-healing property of the mesh network. 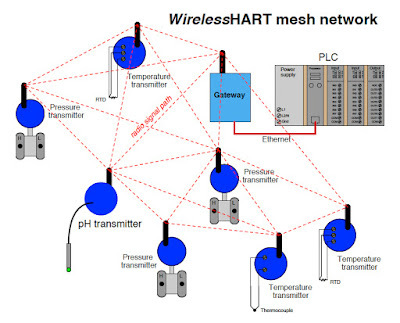 According to the HART Foundation, reliability for a well-designed WirelessHART mesh network is 99.7300204% minimum, and typically greater than 99.9999998%. An important consideration when planning a WirelessHART network is battery life. With the main purpose of wireless ﬁeld instruments being the elimination of wired connections to the host system, the ﬁeld instruments cannot rely on a host system for their electrical power needs. Lithium-based batteries currently fulfill this role as primary power source, with life expectancies of several years. Interestingly, the amount of energy required by a WirelessHART device to transmit radio-frequency data is small compared to the energy required to power its essential instrument functions (e.g. pressure measurement, temperature measurement). This means a WirelessHART device operating as a radio repeater (in addition to being a measurement device) adds little burden to its battery. Perhaps the greatest challenge in sustaining any wireless ﬁeld instrument network is ensuring network integrity despite unending changes in the physical environment around the instruments. Remember that this is an industrial, ﬁeld-instrument wireless network designed to be installed in less-than-ideal physical environments. These wireless devices must somehow reliably communicate with each other despite interference from high-power electrical devices (e.g. variable-frequency motor drive units), while mounted on or near metal objects such as girders, pipes, pipe racks, large vessels, motors, enclosures, shelters, and electrical conduits. Even the ground of an industrial environment can be an impediment to robust radio communication: steel-reinforced concrete and electrical grounding grids form what is essentially a solid “ground plane” that will interfere with WirelessHART devices mounted too close to ground level. Added to all this spatial complexity is the continual presence of large vehicles and other moving machines (cranes, forklifts, manlifts, etc.). It is not uncommon for scaffolding to be temporarily erected for maintenance work in industrial areas, presenting yet one more obstacle for RF signals. In answer to these challenges is an integral and essential component of a WirelessHART network called the Network Manager: an advanced digital algorithm usually executed by the network gateway’s microprocessor. The purpose of the Network Manager is to manage the details of the network automatically, “tuning” various parameters for optimum reliability and data throughput. Among other tasks, the Network Manager assigns “timeslots” for individual devices to transmit, determines the frequency-hopping schedule, detects and authenticates new devices added to the network, dynamically adjusts device transmission power, and selects alternative routes between devices. In a sense, the Network Manager in a WirelessHART network continually audits and tunes the RF system in an attempt to maximize reliability. The Network Manager’s functionality does not substitute for good planning during the design phase of the WirelessHART network, but it does eliminate the need for a human technician or engineer to continuously monitor the network’s performance and make the small adjustments necessary to compensate for changing conditions. When changes occur in a WirelessHART network that cannot be compensated by the Network Manager, the real-time statistics provided by the Network Manager are invaluable to the technician or engineer assigned to update the network. 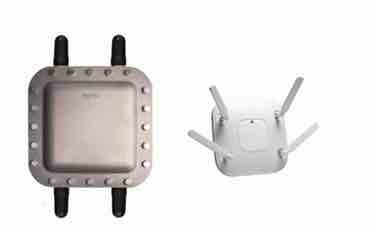 Analynk is proud to announce a new access point enclosure, the AE902-1, specifically for the Aruba AP-318 access point. 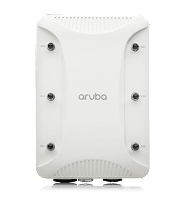 Aruba, a Hewlett Packard Enterprise company, developed the Aruba 318 series access point as a hardened device for use in harsh, weather-protected environments. 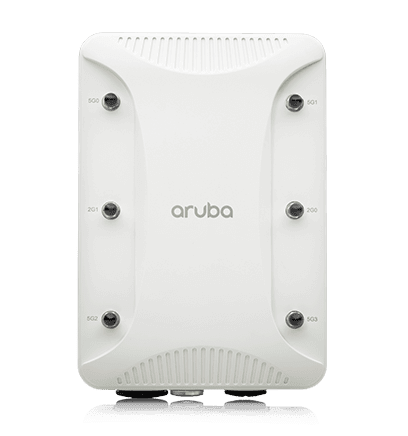 Aruba designs some of the most popular and highly rated access points in the industry. 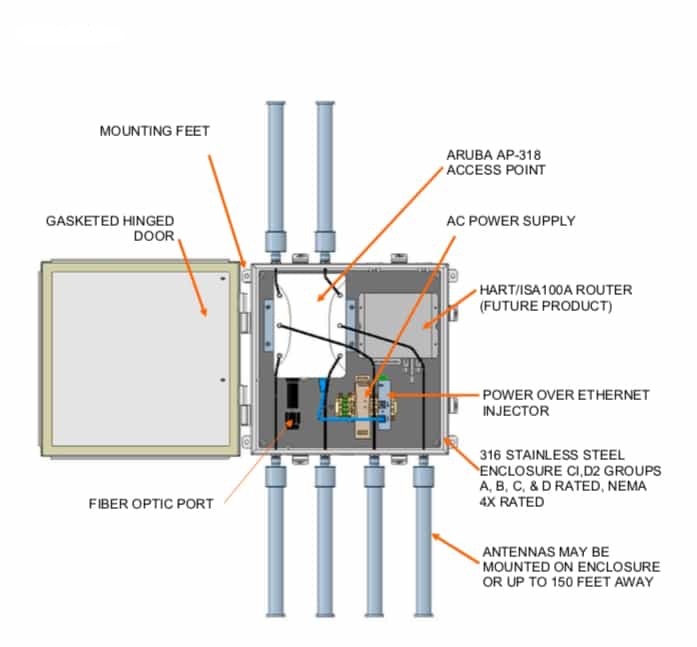 Analynk developed the AE902-1 to house the Aruba AP-318 for use in hazardous areas. 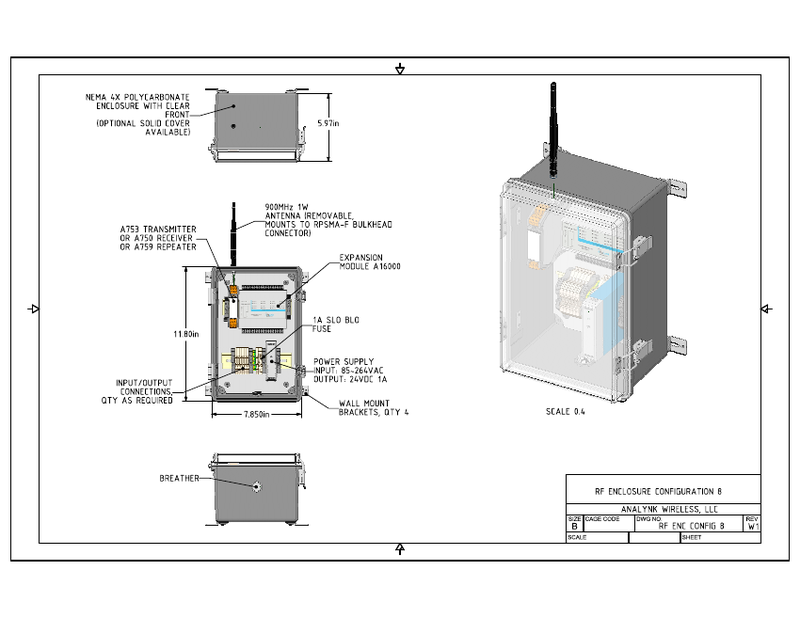 The enclosure, all hardware and antennas are rated for Class I, Division 2, groups A, B, C, & D.
A POE (Power over Ethernet) injector and AC to DC power supply, are included. The enclosure is made of 316 stainless steel and has a NEMA 4X rating for harsh conditions, such as offshore oil and gas platforms. 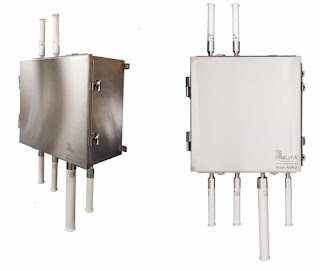 Optional directional antennas are available, and antennas can be mounted up to 150’ away from the enclosure. The AE902-1 can be flat panel or pole mounted. As mentioned above, the AE902-1 is currently rated Class I, Division 2 Groups, A, B, C, & D. ATEX Zone 2 approval is pending. 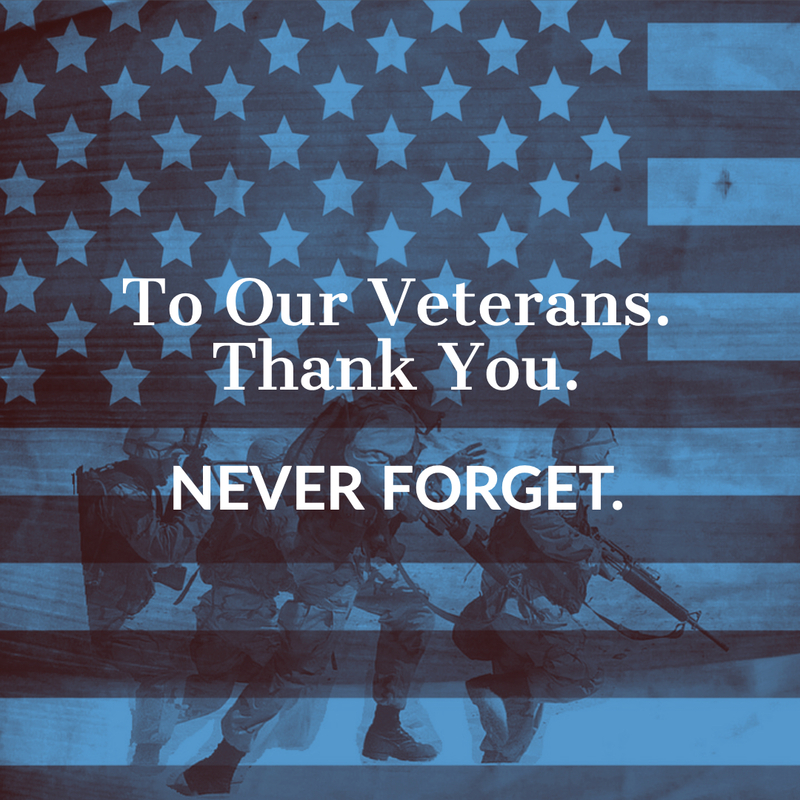 See the drawing below. For more detailed information, inquiries, or to download a Sales Specification Sheet, visit this page on the Analynk website. A control system typically consists of a “master” or central supervisory control and monitoring station consisting of one or more human-machine interfaces where an operator can view status information about the remote sites and issue commands directly to the system. Typically, this station is located at a main site along with application servers and an engineering workstation that is used to configure and troubleshoot the other control system components. 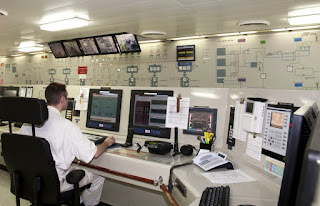 The supervisory control and monitoring station is typically connected to local controller stations through a hard-wired network or to remote controller stations through a communications network—which could be the Internet, a public switched telephone network, or a cable or wireless (e.g. radio, microwave, or Wi-Fi) network. Each controller station has a Remote Terminal Unit (RTU), a Programmable Logic Controller (PLC), DCS controller, or other controller that communicates with the supervisory control and monitoring station. The controller stations also include sensors and control equipment that connect directly with the working components of the infrastructure—for example, pipelines, water towers, and power lines. The sensor takes readings from the infrastructure equipment—such as water or pressure levels, electrical voltage or current—and sends a message to the controller. The controller may be programmed to determine a course of action and send a message to the control equipment instructing it what to do—for example, to turn off a valve or dispense a chemical. If the controller is not programmed to determine a course of action, the controller communicates with the supervisory control and monitoring station before sending a command back to the control equipment. The control system also can be programmed to issue alarms back to the operator when certain conditions are detected. Handheld devices, such as personal digital assistants, can be used to locally monitor controller stations. Experts report that technologies in controller stations are becoming more intelligent and automated and communicate with the supervisory central monitoring and control station less frequently, requiring less human intervention. The document "Guide to Industrial Wireless Checklists", developed by the National Institute for Standards and Technology, is intended to be a practical guide used by engineers and managers facilitating them to go through the process of defining the objectives of their wireless systems and examining the environments where the wireless systems are to be deployed, then helping them in selecting, designing, deploying, and monitoring the wireless systems using existing technology in a factory. 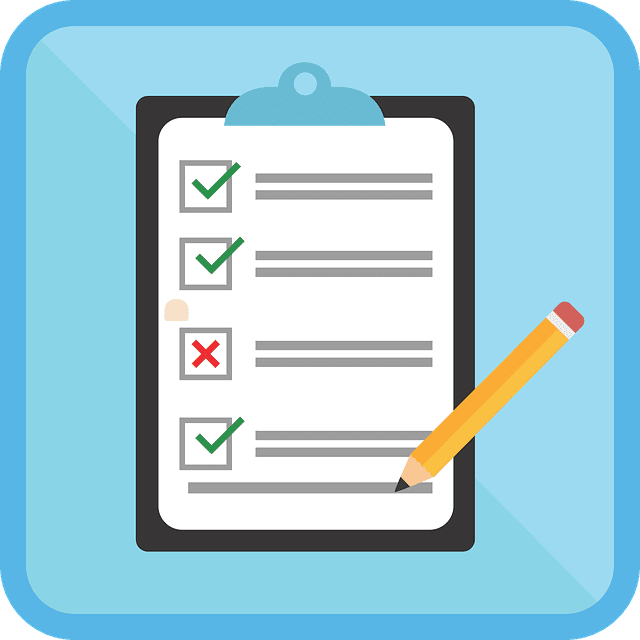 Checklists from the above referenced document have been culled and available here for download. 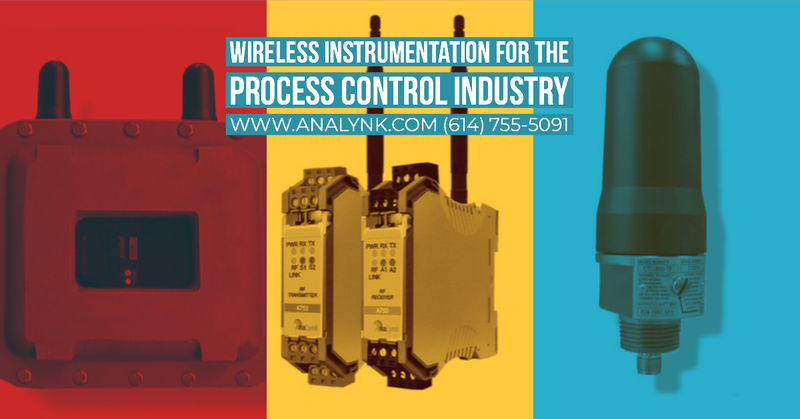 Analynk wireless instruments have been successfully implemented in process control applications including temperature measurements, 4 to 20mA bridges, discrete inputs/outputs, pulse inputs, lighting and pump controls. Contact Analynk Wireless today to discuss your plant's wireless requirements. 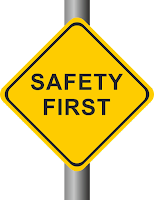 Wireless systems may be useful to enhancing the safety profile within a factory operation. These systems can be used to prevent injury through improved communication and enhanced situational awareness within the factory. Wireless safety systems are used in many applications including those designed to prevent chemical handling mishaps, avoid heavy equipment accidents such as “struck-by, and back-over” incidents, prevent falls through active position monitoring and safety interconnects, provide situational awareness within confined spaces, and improve safety for non-employees. Along with adaption of wireless sensor networks for industrial automation, there are more applications of wireless technology created by users after they are more familiar and comfortable with the wireless technology. 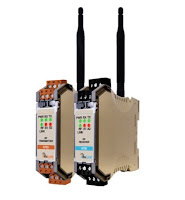 Also because of the strong benefits of wireless applications that can save project execution time and cost, more and more wireless has been used for secondary or backup systems for time-critical application such as safety or control applications. Based on this movement, ISA-84 working group (WG) 8 developed a technical report on wireless for safety systems other than those of a safety integrated system (SIS), i.e., those systems with a system integrity level (SIL) rating below ten. The technical report describes the additional elements needed to be addressed when wireless technology is used in an Independent Protection Layer (IPL). Refer to the ISA technical report TR84.00.08-2017 Guidance for Application of Wireless Sensor Technology to Non-SIS Independent Protection Layers for more information. Reprinted from "Guide to Industrial Wireless Systems Deployments" by the National Institute of Standards and Technology. Get your copy here. One of the key enablers of factory automation is the availability of wireless radio frequency devices. 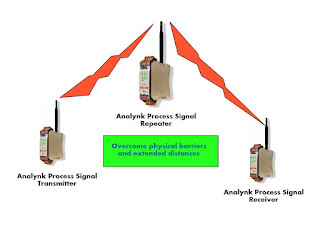 Some applications of radio frequency devices include process control, oil and gas refineries, pharmaceuticals, food and beverage, autonomous guided vehicles (AGVs) control, slotted microwave guides, pendants to control cranes and machine tools, active and passive radio frequency identifier (RFID) for tracking parts, tools and consumables, wireless barcode readers, remote sensing of critical process parameters, mobile telephony, door openers, emergency communication, and general factory Wi-Fi for internet connectivity. In addition, devices not directly associated with the manufacturing process such as microwave ovens and mobile telephone hot spots must be included when designing a factory wireless system. As useful as wireless communications is, it must be recognized that spectrum is limited and there must be judicious choices about when it should be used, and when wired connections are preferable. 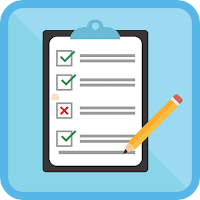 In general terms, wireless (as with any upgrade to a factory or enterprise system) should satisfy a requirement related to quality, reliability, efficiency, safety, regulation, or environment as shown in Table 4. The requirements pertain to the business enterprise which in the case of a manufacturing operation means the plant or factory. A wireless deployment should be designed to satisfy one of the key business concerns listed. Functionality - Is wireless required to achieve an aspect of function within the factory operation? For example, does the factory require a mobility to achieve a goal? Reliability - Is reliability of the production line improved? The ability to manufacture products, parts or assemblies which conform to the engineering definition, and can demonstrate conformity. 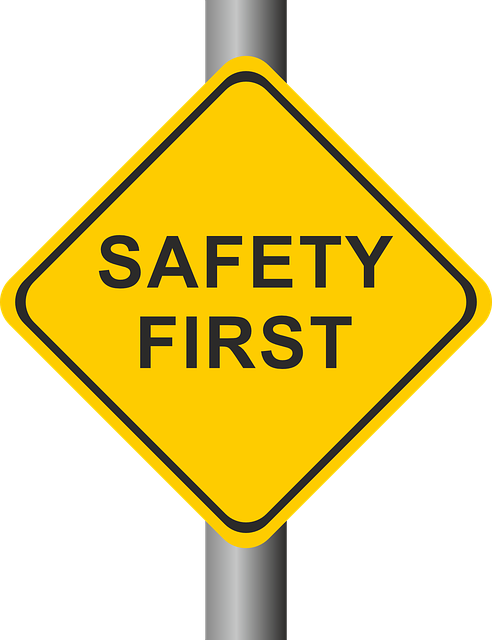 Safety - Are people or equipment made safer? The ability of employees to perform their jobs free from recognized hazards including falls, hazardous energy, confined space, ergonomics, and hazardous materials, and being able to demonstrate compliance with all safety regulations. Efficiency - The ability to meet target costs and continue forever to reduce unit production costs. Quality - The ability to manufacture parts and assemblies which conform to the engineering definition, and be able to demonstrate conformity. Environment - The ability to demonstrate compliance with applicable government regulations at the city, county, state, and federal level. The Anaynk A75x series offers simplicity and reliability in a point to point, multipoint or wireless mesh system. 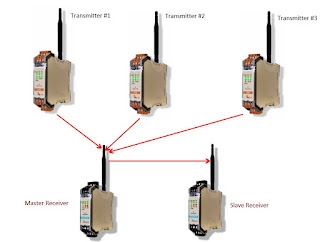 One A753 transmitter can communicate with multiple A750 receivers for redundancy. A repeater can be added simply by placing in between a transmitter and receiver, no programming is required. Three radio options are available: long range 900MHz 1W, 900MHz 50mW and 2.4GHz 63mW. In addition to transmission of the industry standard 4-20mA, our transmitters can directly process thermocouples, RTD and switch states. 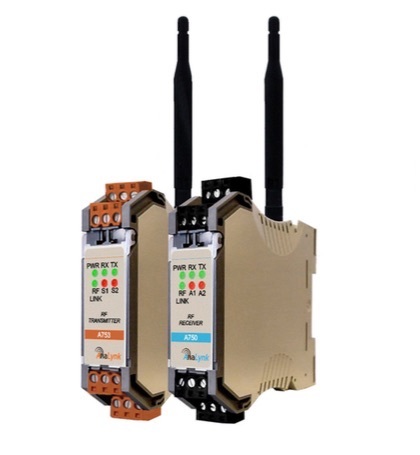 Up to 32 inputs may be transmitted with one transmitter when the A753 is paired with our A16000 expansion module. For more information, contact Analynk Wireless by visiting https://analynk.com or by calling (614) 755-5091. Below is a list of terminology, abbreviations, and acronyms used in wireless network technology applied to process control. Refers to Aruba Wireless Networks, now a Hewlett Packard Enterprise company. 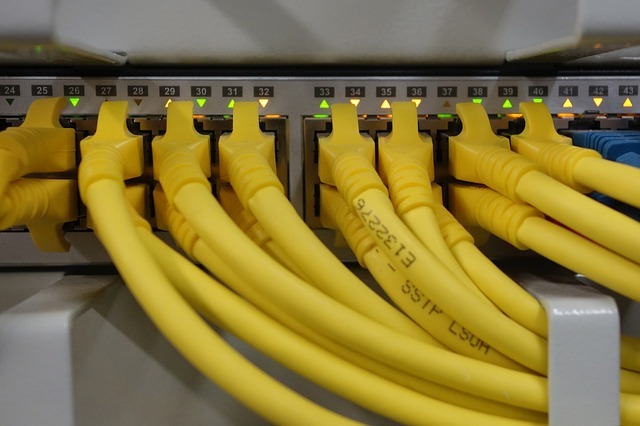 A company that develops, manufactures and sells networking equipment. Refers to Meru Networks, a supplier of wireless local area networks (WLANs). A company that designed and sold wireless network equipment. Device that takes an existing signal from a wireless router or wireless access point for rebroadcasting. Technology for radio wireless local area networking of devices based on the IEEE 802.11 standards. A networking device that allows a Wi-Fi device to connect to a wired network to create a second network. Popular, low-cost, low-power wireless mesh networking standard. Tightly controlled mesh network that caters to the smart home and smart building space. 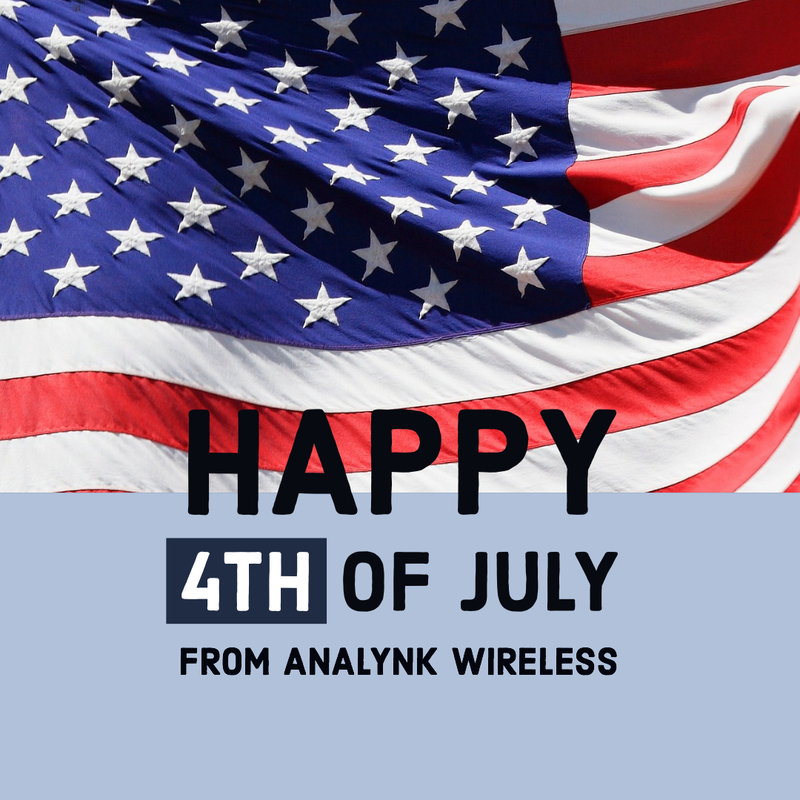 Happy 4th of July from Analynk! Deterministic transmissions in shared wireless bandwidth. High reliability in the harsh radio propagation environment. Wired connections have proven themselves effective in supporting reliable, point-to-point communications between the controller and the field instruments. A problematic limitation exists with wired connections though - they are unable to accommodate the growing demands and future requirements to support adaptive network topology and rapid reconfiguration encountered in new process control systems. In lieu of laying down miles of cables to connect hundreds of field instruments, industrial wireless communication networks provide wireless connections with customized network topology, allow for plug-and-play configuration, and offer lower installation and maintenance costs. 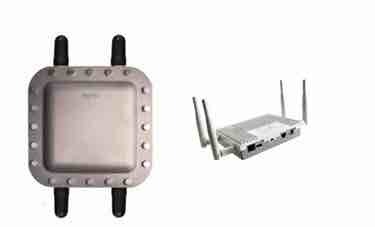 Compared with the requirements of standard Internet data services, wireless in the process control environment has stricter quality of service (QoS) requirements. These include more highly reliable transmissions in mobile use cases as well as centralized data analytics, tighter message latency, and lower power consumption. Gathering information in hazardous areas is critically important for plants to access. Wireless communications is vital for improved efficiencies, real-time monitoring of machinery and equipment, and the safety and well-being of personnel. Hazardous area antennas from Analynk Wireless are designed and constructed for very rugged industrial applications. Furthermore, all Analynk hazardous area antennas are UL listed for Class 1, Groups C & D and have ATEX/IECEx Certification. Finally, a range of frequencies are available from 900MHz, 2.4GHz, Cellular, GPS, Iridium and dual bands. Wireless technologies are not new in industrial process control, and are increasingly used for real-time control and critical applications. One key piece of hardware is the wireless access point (AP). Wireless access points are networking devices that allows a Wi-Fi device to connect to a wired network. In autonomous architectures, standalone wireless access points are used to implement all WLAN (wireless local area network) functions. They have to be configured and managed individually and are typically used in smaller installations or stand-alone applications. Unified architecture (UA) is preferred in large-scale, plant-wide wireless deployments because of its ability to handle a variety of clients and applications. Unified architecture offers guest systems, intrusion protection and facilitates plant-wide mobility. Centralized control and easy configuration are delivered through light-weight access points (LWAP) and wireless LAN controllers (WLC). Cisco Systems, Inc. develops, manufactures and sells networking hardware, and telecommunications equipment. Cisco specializes into specific tech markets, such as Internet of Things (IoT), domain security and energy management. Aruba, a Hewlett Packard Enterprise Company, brings Wi-Fi wireless LAN mobility solutions to enterprise networks. Its core products are wireless Access Points (APs), wired switches, mobility controllers, and network management software. Meru Networks is a supplier of wireless local area networks (WLANs) to healthcare, enterprise, hospitality, K-12 education, higher education, and other markets. Meraki was acquired by Cisco Systems in December 2012 and is an equipment and tech company who's solutions include wireless, switching, security, EMM, communications, and security cameras, all centrally managed from the web. Zebra Technologies/Motorola manufactures computer systems that include printing, barcode, communication, mobile computing and advanced data capture communications technologies to the manufacturing supply chain, retail, healthcare and government sectors. In industrial facilities, hazardous areas are defined as areas where flammable liquids, gases, vapors or combustible dusts exist in sufficient concentration to produce an explosion or fire. In order to locate access points in hazardous areas, specialized access point enclosures fitted with explosion-proof antennae must be used. These enclosures provide UL listed, Class 1, Division 1, Groups C &; D, Zone 1, ATEX Zone 1 antennas (2.4GHz and 5.0GHz), mountings brackets and hardware. 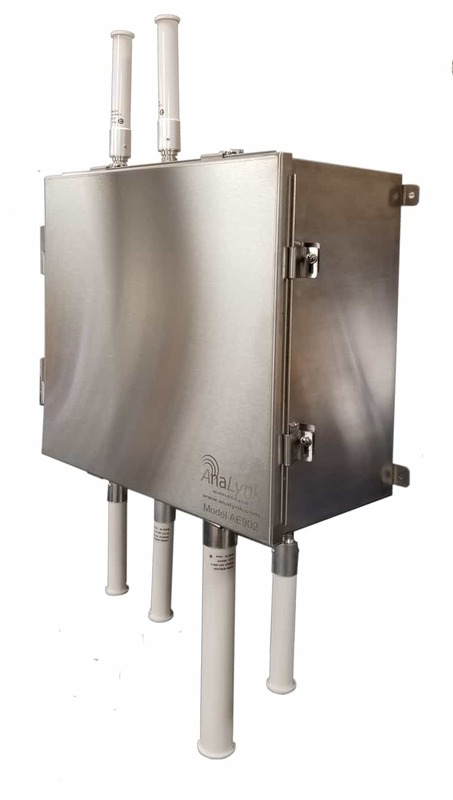 Analynk, a manufacturer of wireless instrumentation in Columbus, OH, offers a wide variety of hazardous area access point enclosures as well as explosion-proof antennas. 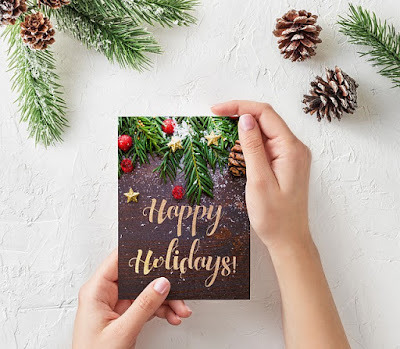 Contact them by visiting https://analynk.com or calling 614-755-5091. The SensaLynk™ line of industrial wireless products are designed to meet today's increasing demands for greater efficiency, higher reliability and lower cost of ownership. 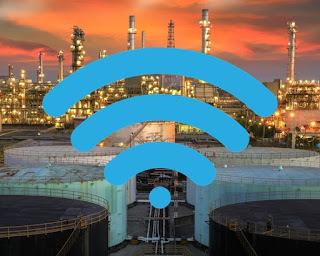 SensaLynk™ wireless technology supports industry standards and protocols and maximizes the flexibility of your process control system while reducing inventory and installation costs. 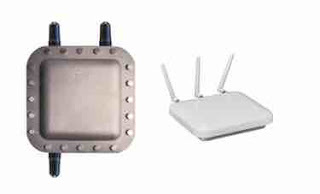 The HazaLynk™ Series incorporates a wide selection of wireless hazardous area devices to suit a variety of industrial applications. 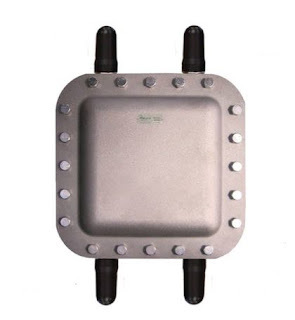 The product line includes wireless instruments for hazardous areas, hazardous area antennas, hazardous area access point enclosures, and hazardous area RF enclosures that simplify the process of installing field instrumentation, while meeting code requirements for hazardous classified and explosive environments. When electrical equipment is used in, around, or near an atmosphere that has flammable gases, vapors, or flammable liquids, there is always a possibility or risk that a fire or explosion might occur. Those areas where the possibility or risk of fire or explosion might occur due to an explosive atmosphere and/or mixture is often called a hazardous (or classified) location/area. Currently there are two systems used to classify these hazardous areas; the Class/Division system and the Zone system. The Class/Division system is used predominately in the United States, whereas the rest of the world generally uses the Zone system. Hazardous locations per the Class/Division system are classified according to the Class, Division, and Group. Class - The Class defines the general nature (or properties) of the hazardous material in the surrounding atmosphere which may or may not be in sufficient quantities. Class I - Locations in which flammable gases or vapors may or may not be in sufficient quantities to produce explosive or ignitable mixtures. Class II - Locations in which combustible dusts (either in suspension, intermittently, or periodically) may or may not be in sufficient quantities to produce explosive or ignitable mixtures. Class III - Locations in which ignitable fibers may or may not be in sufficient quantities to produce explosive or ignitable mixtures. Division - The Division defines the probability of the hazardous material being able to produce an explosive or ignitable mixture based upon its presence. Division 1 indicates that the hazardous material has a high probability of producing an explosive or ignitable mixture due to it being present continuously, intermittently, or periodically or from the equipment itself under normal operating conditions. 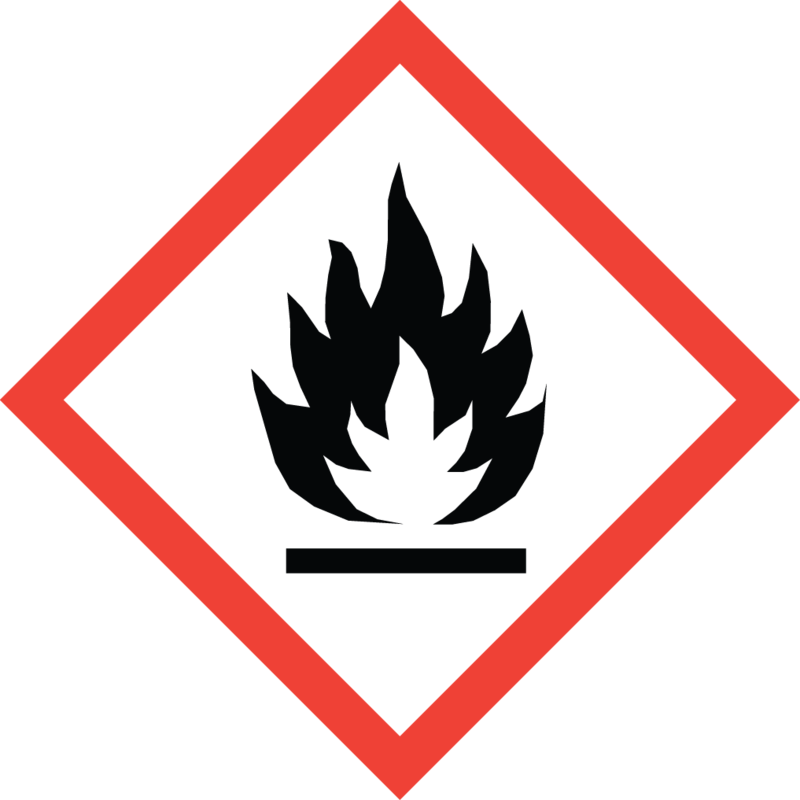 Division 2 indicates that the hazardous material has a low probability of producing an explosive or ignitable mixture and is present only during abnormal conditions for a short period of time. Group - The Group defines the type of hazardous material in the surrounding atmosphere. Groups A, B, C, and Dare for gases (Class I only) while groups E, F, and G are for dusts and flyings (Class II or III). Group A - Atmospheres containing acetylene. Group B - Atmospheres containing a flammable gas, flammable liquid- produced vapor, or combustible liquid- produced vapor. Typical gases include hydrogen, butadiene, ethylene oxide, propylene oxide, and acrolein. Group C - Atmospheres containing a flammable gas, flammable liquid- produced vapor, or combustible liquid- produced vapor. Typical gases include hydrogen sulfide, ethyl either, ethylene, and acetaldehyde. Group D - Atmospheres containing a flammable gas, flammable liquid- produced vapor, or combustible liquid- produced vapor. Typical gases include acetone, ammonia, benzene, butane, ethanol, gasoline, methane, natural gas, naphtha, and propane. Hazardous locations per the Zone system are classified according to its Zone. For gas atmospheres electrical equipment is further divided into Groups and Subgroups. The Zone defines the probability of the hazardous material (gas), being present in sufficient quantities to produce explosive or ignitable mixtures. Zone 0 - Ignitable concentrations of flammable gases or vapors which are present continuously or for long periods of time. Zone 1 - Ignitable concentrations of flammable gases or vapors which are likely to occur under normal operating conditions. Zone 2 - Ignitable concentrations of flammable gases or vapors which are not likely to occur under normal operating conditions and do so only for a short period of time. Group - Electrical equipment used in gas atmospheres is divided into two groups. Group I - Equipment used in mines with atmospheres containing methane or gases and vapors of equivalent hazard. (Note: Group I does not apply to offshore and is shown for information purposes only). Group II - All other equipment; which is further subdivided into three subgroups. Group IIA - Atmospheres containing propane, or gases and vapors of equivalent hazard. Group IIB - Atmospheres containing ethylene, or gases and vapors of equivalent hazard. Group IIC - Atmospheres containing acetylene or hydrogen, or gases and vapors of equivalent hazard. Demands for safety, reliability, efficiency, and quality put manufacturing plants under tremendous pressure. Unexpected shutdowns and outages have devastating effects on plant performance. Lost production, increased energy costs, unplanned maintenance costs, and augmented safety concerns are outcomes of equipment failure. Tomorrow's technologies must mitigate these process control realities. Wireless technology is a serious contributor in the effort to improve plant efficiency, lower risk, and increase productivity. Wireless transmitters are available for monitoring virtual all process variables such as pressure, temperature, level, flow, and density. In harsh environments these devices provide critical performance data transmission around the clock. Wireless instrumentation provides a compelling argument when you consider installation cost savings and convenience. The cost savings associated with the elimination of wires and cables is estimated to be as high as 70% when compared to the cost using cables for the same application. Furthermore, wireless instruments keep personnel out of hazardous areas, providing additional safety and compliance benefits. All industries face cost cutting realities as they strive for continuous process improvement. The need to build a better mousetrap is always present. Before widespread adoption of wireless occurs, concerns about reliability, acclimation, and integration must be overcome. 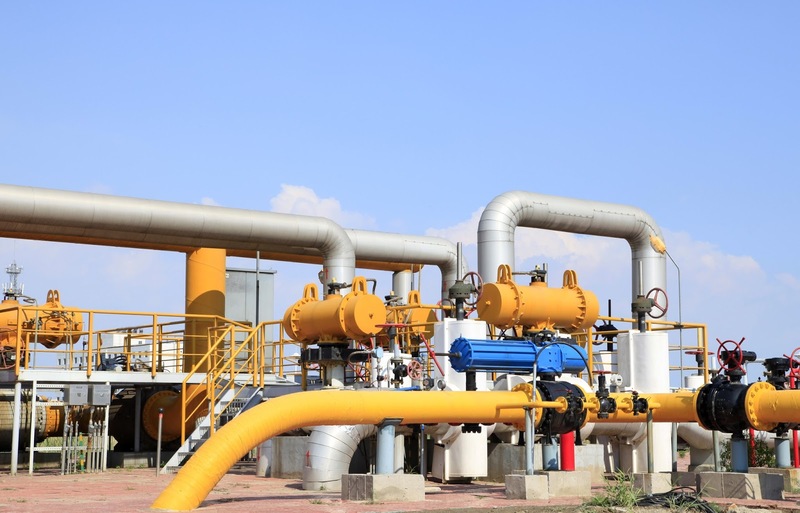 But, as deployment costs are reduced, maintenance costs are reduced, employee safety is improved, and environmental compliance is advanced, wireless instrumentation adoption with continue to accelerate in modern process control installations. 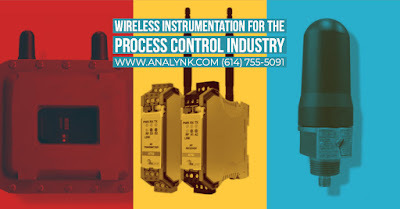 Analynk Wireless is an innovative designer and supplier of wireless instrumentation for the process control industry. Our instruments have been successfully implemented in several applications including temperature measurements 4 to 20mA bridges, discrete inputs/outputs, pulse inputs, lighting and pump controls. These products have been used in both hazardous and non-hazardous locations. Analynk Wireless also manufactures a line of traditional wired instrumentation; see Telmar Instruments for details. 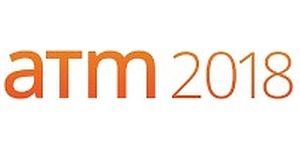 Analynk is an active sponsoring partner, participant and exhibitor at the Aruba Atmosphere 2018 conference, held in Las Vegas from March 25 through March 30. The event is organized and hosted by Aruba, a Hewlett Packard Enterprise company. This event provides opportunities for technical training, as well as other resources to keep you and your organization up to date on technology related to wireless networks. Visit Analynk Wireless at their exhibit space, booth D2F, on Monday, Tuesday or Wednesday during the event. 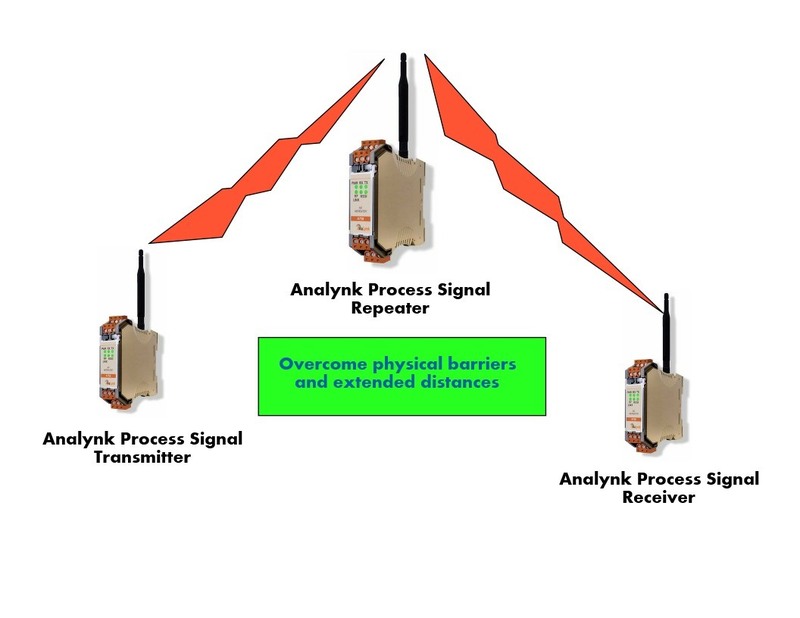 Share your wireless connectivity challenges and leverage your own knowledge and experience with Analynk's hazardous area expertise. Implementing in-house projects takes time, something you may not have enough of on a good day. 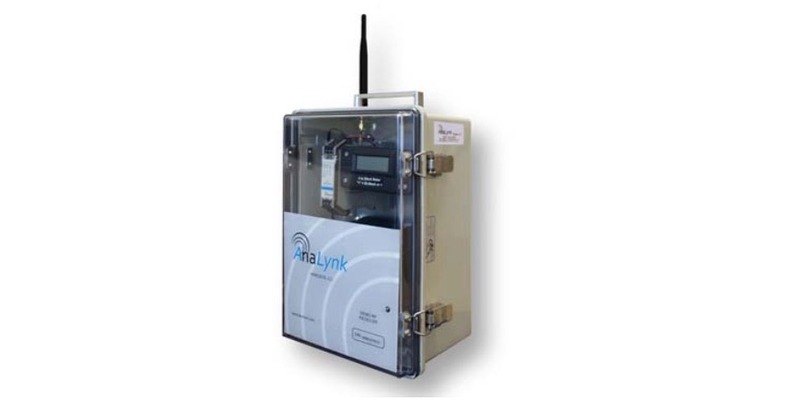 Establishing wireless connections between remote sensors and control or monitoring equipment can be accomplished with a minimum investment of scarce in-house human resources using Analynk's design and build services. With an extensive range of standard products, accessories and options, Analynk will assemble ready-to-run panels for the transmitting and receiving ends of your wireless link. 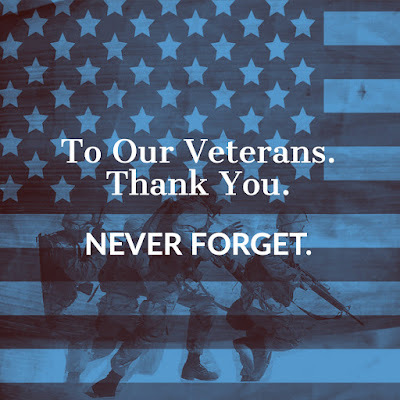 This saves a substantial amount in resources that would otherwise be devoted to design, layout, assembly and operational testing of each panel needed. Smart outsourcing. 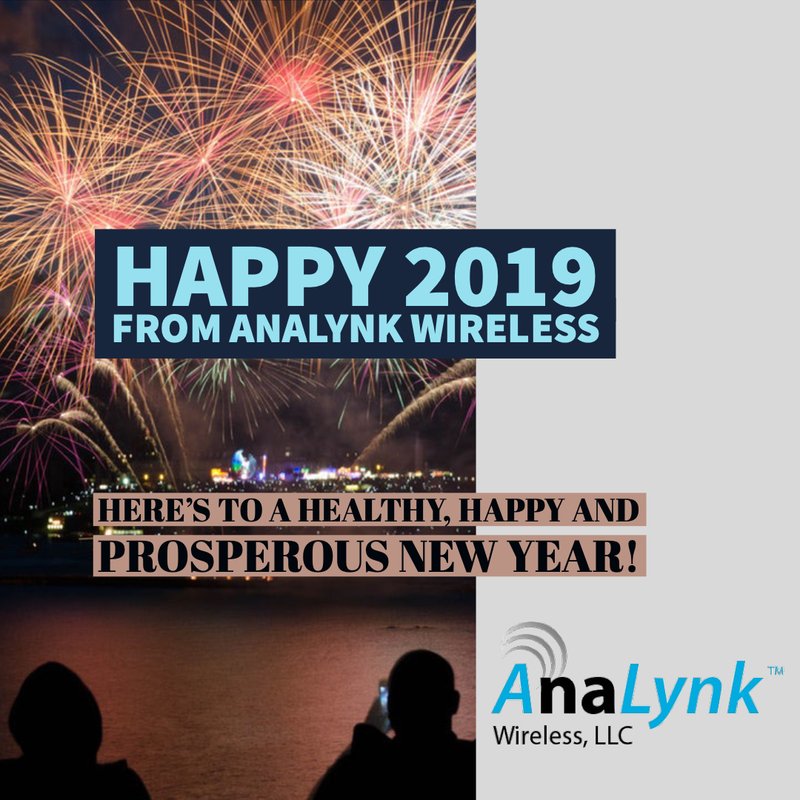 The Analynk application team can design and fabricate a complete package solution for your process measurement or wireless connectivity requirement. Share your ideas and challenges with the wireless and process measurement experts, leveraging your own knowledge and experience for a successful project outcome. Analynk will be an active sponsoring partner participant at the Atmosphere 2018 conference, held in Las Vegas from March 25 through March 30. The event is organized and hosted by Aruba, a Hewlett Packard Enterprise company. This event provides opportunities for technical training, as well as other resources to keep you and your organization up to date on technology related to wireless networks. An excerpt from the conference website provides a good synopsis. Technology is changing so rapidly that it’s near impossible to stay ahead. Don’t rely on Google and YouTube – you should join the best in the industry at Atmosphere 2018. It’s an opportunity to join over 3,000 of your peers to learn, collaborate and influence the direction of Aruba products that deliver enterprise-class wireless, wired, security, location and branch solutions. Be a part of today’s leading innovation machine! Make plans to attend and take advantage of the concentration of available knowledge, all in one place.